Tamiya a Set of Two Large Diameter Wheels w/Hubs and Hardware. 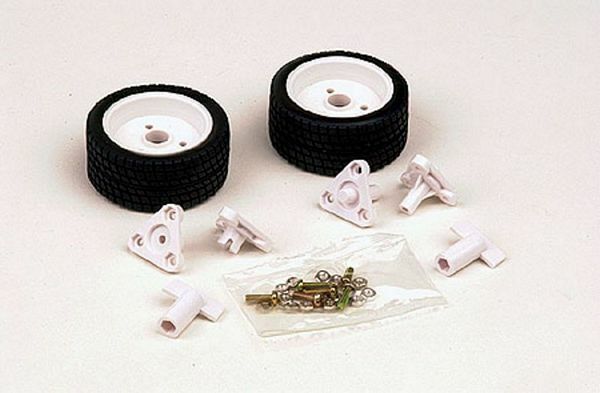 These wheels are used for Scientific Type kits and NOT for R/C kits. The Sports Tire Set is a good all-around tire. Two sets of hubs have been included with a wrench to change the hubs (also included). One set of hubs is for hex shafts like those on many of Tamiya s gear boxes, and the other set of hubs is for round shaft applications.